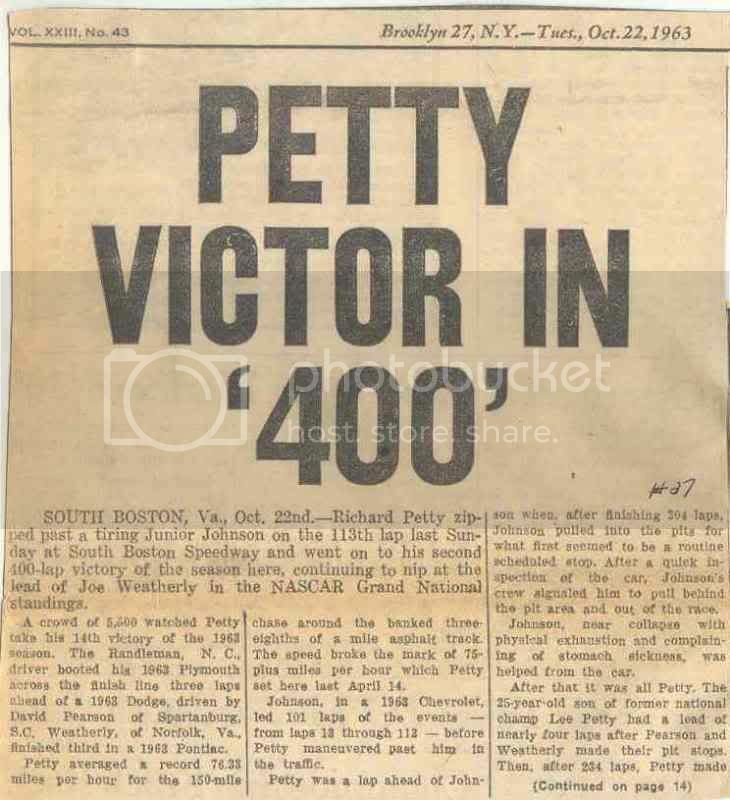 Richard Petty collects his 27th career victory by winning the caution-free South Boston 400 at South Boston Speedway in car #41. 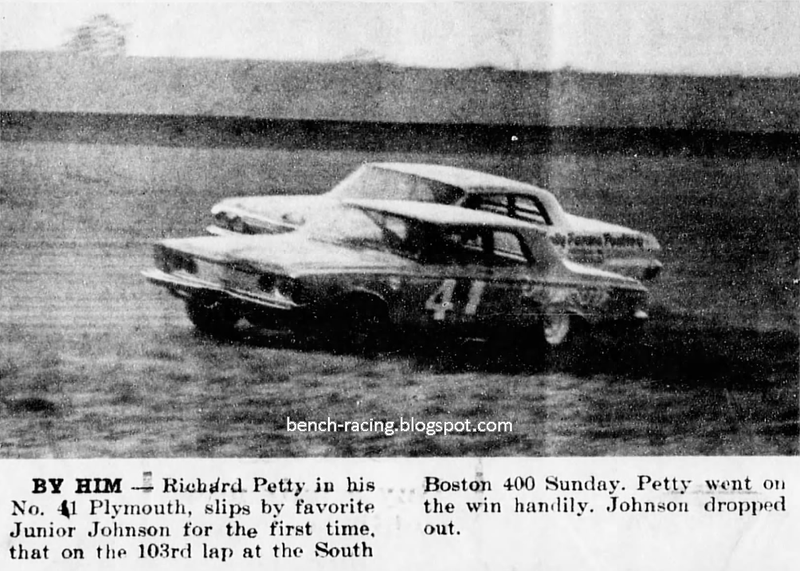 Teammate Bob Welborn finishes 4th in a #42 Petty Enterprises Plymouth. G.C. 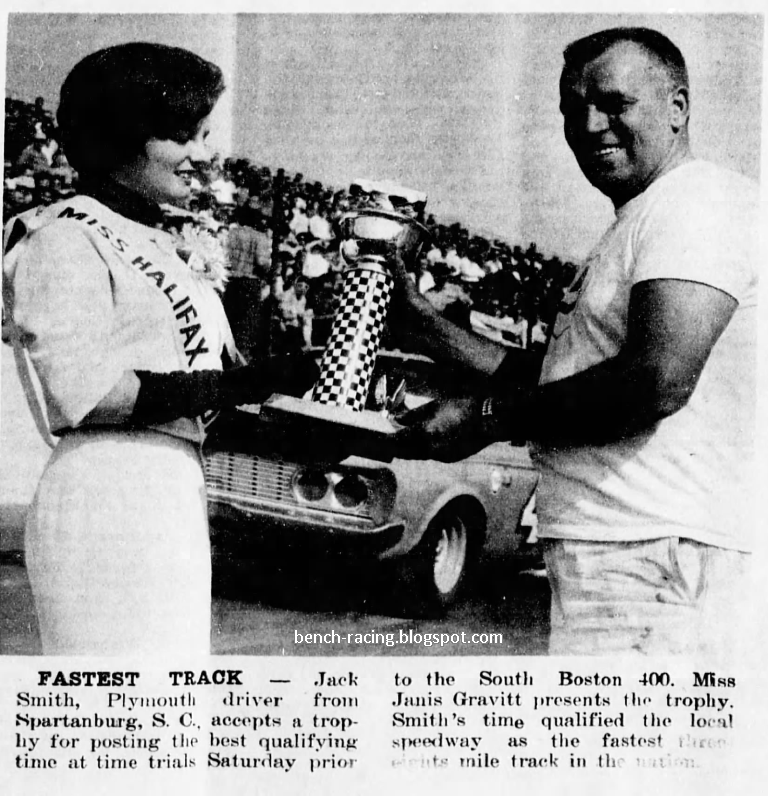 led the first 8 laps before surrendering the lead to Billy Wade in Cotton Owens' Dodge. Wade held serve for 4 laps before Johnson got around him and settled into a long stretch on point. Meanwhile, Petty resumed his pursuit of the leaders after his spin and half-lap deficit. By lap 30, the blue 43 had made it all the way back to second. 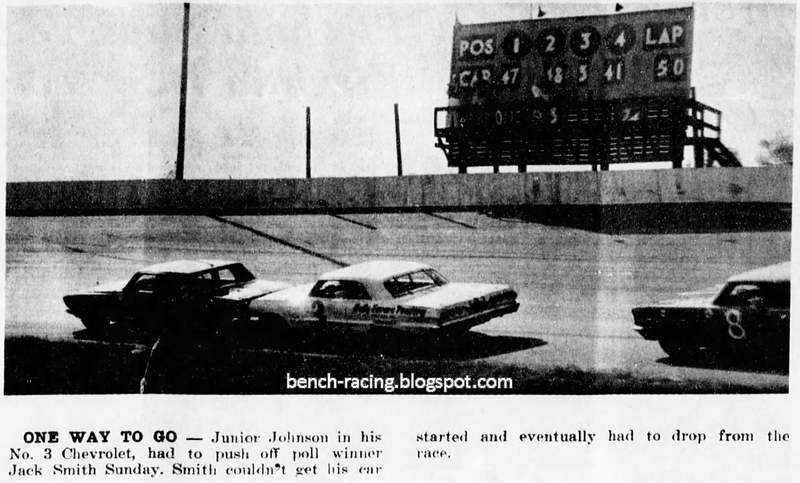 About half-way through the 400-lap race, Johnson hit the pits for what was thought to be a routine stop. Instead, his crew realized he was absolutely spent and could not continue. The team parked the car, and Johnson was done for the day. At many tracks, other drivers were often called upon to relieve a fatigued driver. 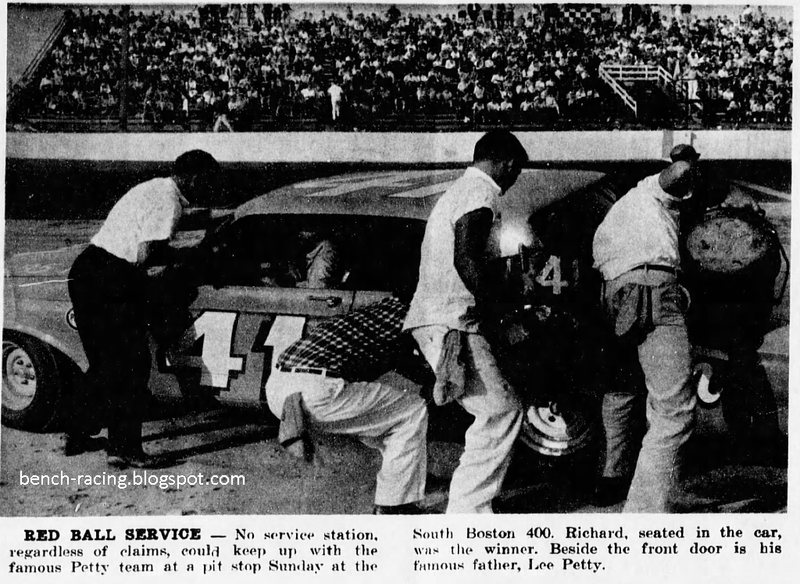 Apparently none were available that day at South Boston. Race report shared by Jerry Bushmire. Schaefer: It's not just for racing anymore. 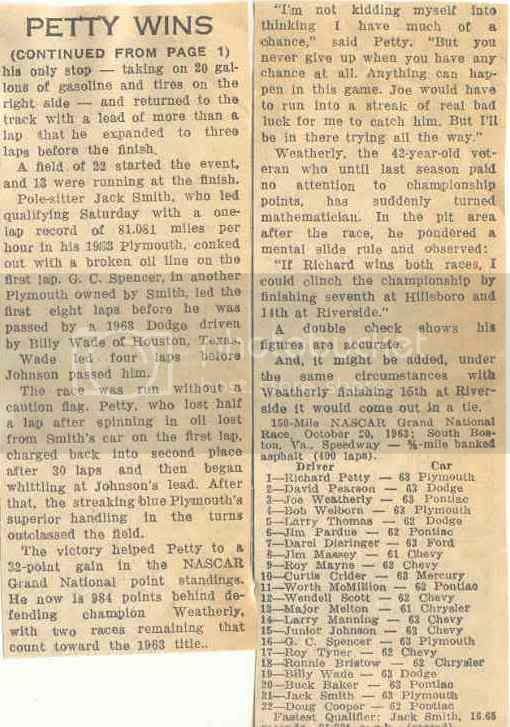 99-9/10ths percent of the time, the issue number on the Jerry Bushmire-shared article would have meshed perfectly with Richard Petty's winning car number. Not on this date, though. 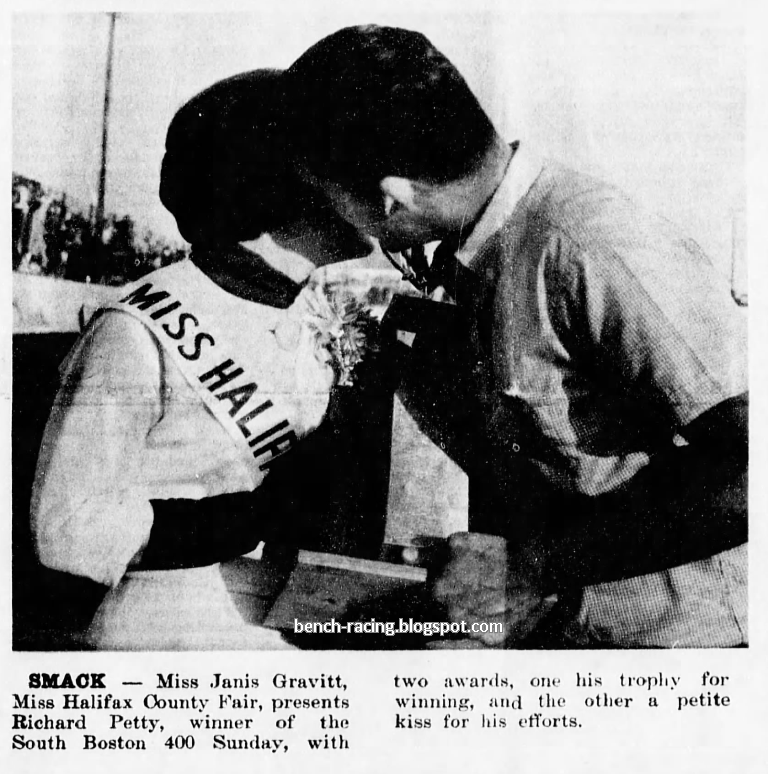 "Any Day is Good for Stock Car Racing"